Inspired by African-American Studies scholar Henry Louis Gates Jr. and feminist theorist Elaine Showalter, Cheryll Glotfelty set out to create the field of literature and environment. By recognizing the silence between scholars working in similar areas and seeing an opportunity for conversation, Glotfelty established conversations between people whose work had previously been isolated. In doing so she and a few like-minded friends played a pivotal role in the creation ecocriticism as we know it today. Cheryll Glotfelty is a co-founder of ASLE and the first professor of literature and environment in the United States. 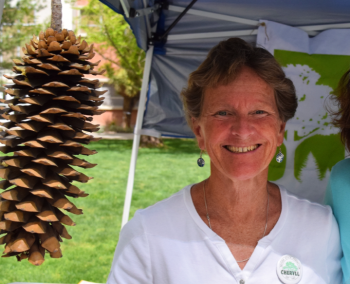 After a 30-year career at the University of Nevada, Reno, (UNR) she is retiring. To celebrate her contributions to the field of literature and environment and to ASLE, Digital Strategies Coordinator Tova Fleming spoke with her about her career, her inspirations, and her aspirations for retirement. Tell me about your journey to become the first professor of literature and environment in the United States. Were there early life experiences that and/or career inspiration that influenced this path? During my “formative years,” I grew up in Palo Alto, California on a cul-de-sac with a lot of kids. My best friends were my neighbors. They were older than me by a few years, and so it was kind of like follow the leader. They were into outdoor activities like backpacking, and they got me into going with them on backpacking trips. The Sierra Club sometimes ran junior backpack trips where you could go as a teenager. 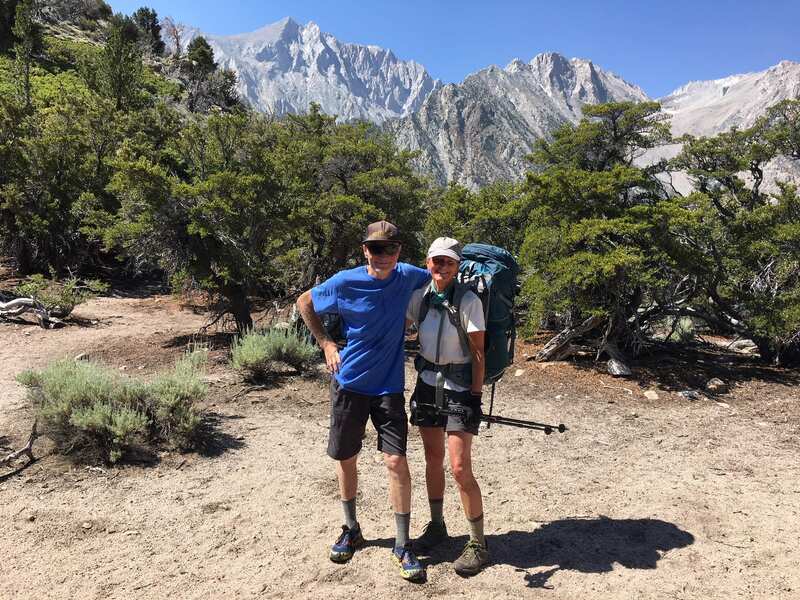 We went on a number of Sierra Club trips, and I developed a real love and passion for nature which persists to this day. At the same time, Earth Day was first celebrated in 1970 when I was 12, so right when I was coming of age in high school I became very aware that there was an environmental crisis. Given the fact that I loved nature and that there was an environmental crisis I thought I want to try to do something to address the crisis. My dad is a scientist and I had some really influential professors when I went through college, and junior college, so I thought, okay, I’ll become a biologist and do something through that line of work. You know, I actually stayed a biochemistry major up until my senior year of college but was kind of losing interest in the finer details. I’m still really interested in science, but I didn’t want to spend my career studying one molecular bond. I also noticed that when I was supposed to be studying for something like a biochem exam I was reading novels. Eventually I just thought, well, I’ve just lost interest here so I’m going to switch to English. I have no idea what I’m going to do with it, but I need to get through college. After college, I “took some time off, did a long bicycle trip, moved to Gunnison, Colorado. I started looking through career manuals just not knowing what I really wanted to do, but eventually thinking that I wanted to be a professor. I got a master’s degree at Western State College in Gunnison, and then applied to Ph.D. programs, and got into the Ph.D. program at Cornell—eventually (laughs). At that time at Cornell was quite a hotbed of literary theory. I hadn’t really been exposed to literary theory up to that point. I just knew I liked to read, so it was honestly like learning a foreign language. I had a class from Henry Louis Gates Jr., who is a really active and influential African-American scholar, and I saw such a mover and a shaker. I just kind of watched him from afar doing what he did. I watched the canon changing—what gets taught, what gets reprinted, what gets researched—and realized that literary critics and theorists can exert an influence in the field—changing the field. Of course, we are in the business of education, so if you change the field you change what courses are taught, what works get taught, you’re essentially reaching people—students who go on to have lives. So, I thought to myself, why couldn’t the same kind of extreme organizing activity that Henry Louis Gates did for African-American and critical race studies happen with environmental studies. At the same time, I was also exposed to a lot of feminist criticism and theory and came across a book edited by Elaine Showalter called The New Feminist Criticism. It is essentially an anthology showcasing some really really good feminist theory and criticism, and it’s a great way to be introduced to a new field. That kind of got the idea of an anthology in my head. 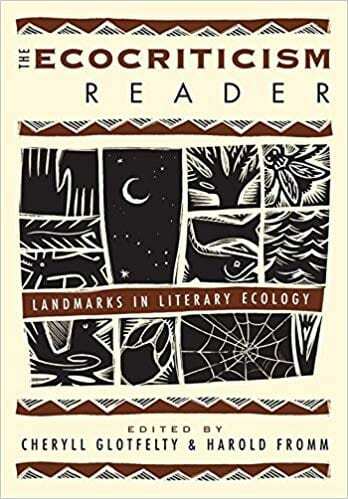 Co-Edited by Cheryll Glotfelty and Harold Fromm, The Ecocriticism Reader was published in 1996 and helped “green” the field of literary studies. Meanwhile, Cornell had a great library and great tools, so I was researching and trying to find environmental literary criticism. Through my research and through going to some conferences and meeting people, I became aware that the people writing what I regard as really good, what in retrospect we would call, “ecocriticism” weren’t citing one another. It was as if they were all working in isolation. I thought I could develop a big bibliography of everything that I find and send it to everyone who is on the bibliography. Then at least they would know of each other. Then maybe I could put together an anthology to put all these gems that I was finding in one place and make it available. Those were some ideas I had in graduate school, and they eventually came to pass. I met some other people who were similarly motivated, and we became friends, and so some other organizing followed from there. How did you become the first professor of literature and environment in the United States? I really had aspirations to change the field. If there can be professors of African-American literature and professors of women’s literature and feminist studies I thought to myself, why couldn’t there be a professor of literature and the environment? Again, I was really seeing other subfields, and just saying why couldn’t the same thing that is happening there be happening on behalf of the environment, and in a sense, copycatting—doing what they had already done. When I sent around that bibliography, I had a cover letter that said ‘I would like to be the first professor of literature and environment. Do you have any ideas?’ This is basically before email if you can even believe it. This was all through the mail, so it was super fun checking my mailbox every day to see if any answers had arrived. People were really nice, and they sent me some other ideas. Nobody just flat out offered me a job exactly. One person said, ‘Go west young woman, go west’. I had gone to the Western Literature Association Conference (WLA) for a few years. I was kind of homesick being on the East Coast and from the West Coast. Also, a lot of outdoors people were in that organization at that time, so I met good friends. One of the people I met at that conference is Ann Ronald. And she turns out to be pretty much the earliest literary critic to focus on Edward Abbey; she had the book called The New West of Edward Abbey. She was an avid backpacker and outdoors person. I didn’t know her well, but I looked up to her as someone who looked like they had a good life. Because she had written that book on Edward Abbey, I sent her the bibliography with my cover letter. I thought she was an English professor at the time, that’s the address I used. Unbeknownst to me she had become Dean of the College of Arts and Science at University of Nevada, Reno, and so she had left a vacancy in the English Department in Western American literature that needed to be filled. She got my letter and talked to the chair of the English department and said hire this person. Basically, that is what happened. I went through the normal process, but it was an accelerated search. It took place well before the fall search…I didn’t negotiate my salary at all. Instead, I said, ‘could I have the title professor of literature and the environment?’ They said ‘sure, no problem’, so that’s how I got that title. But I didn’t do it just for me, I did it as a statement—one step toward establishing a field. What has stood out as a highlight of your career? A huge highlight was at UNR. I would get inquiries from students saying I want to study this at the graduate level. ‘Do you know a program?’ I would say, well there isn’t really a program, but University of Oregon has some strengths. I would tell them about UC Davis. I would sort of send them to places, and I became aware that there was an opportunity. There was enough interest out there that if a department did develop an actual program, tracks, emphasis, whatever you want to call it, it could probably draw some really good students. In our various English Department meetings ideas are shared, blue sky visioning, and this was one of the visions. We had somebody studying 18th century gardens for example, and someone studying desert literature, so it seemed like we already had a bit of a strength. In 1995 we made a double hire of Scott Slovic and Mike Branch, who are leaders in the field of ecocriticism. They were young, just like me, at the time. We were best friends and we were super ambitious. We created a program—a M.A., and a Ph.D.— in literature and environment. That was a highlight, having Mike and Scott hired in 1995, a huge highlight. That affected the rest of my career—actually made it very pleasant. We called it the University of Nirvana (laughs) because things were great, and the department was so open to …’ oh, I want to teach a class in animals, I want to teach a class in literature of the wild, I want to teach a class in bioregionalism’. I mean it was just yes, yes, yes. I got to teach every class I ever dreamt up. They were floated under topics like Problems in American Literature, but I had so much freedom throughout my whole career to follow my evolving interests so that whole thing was a highlight. 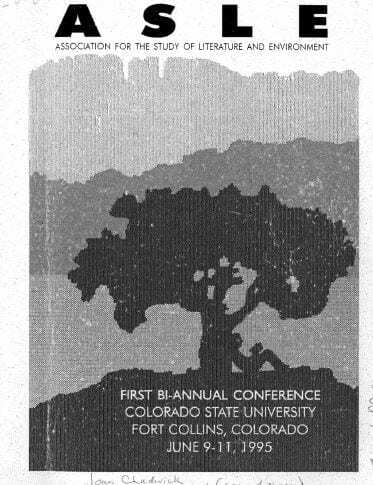 In 1992, before Mike and Scott were hired, it was the three of us at Western Literature Association Conference. The association was hosting the conference in Reno thanks to Ann Ronald. Mike, Scott, and I, who had become friends even before they were hired, founded ASLE at that conference. So that was a highlight, to get the organization going. Although it wasn’t exactly an organization, that’s a kind of high blown word. It was a group of people who wanted to stay in touch at the time and do something. ASLE was more of a dream or an aspiration then it was an actual organization. Towards the end of my career I worked on books with people, and I’m really proud of those. They were a ton of work and it was really nice to see them published, but I think a lot of the highlights were in the early years. Then it was just a matter of carrying the ideas out, being responsible, conscientious—you know…now we have a program, let’s keep it good and that kind of thing. What inspired your participation in the creation of ASLE? I think the principal there is that we can do more together than we can alone, besides it will be more fun. I think that’s why people come together in common cause it is because they like each other they share interests. Not only are you making friends, but you have people to share ideas with and work together with. How have you seen the organization grow in the past 25 years? Just enormously. I mean the ASLE newsletter started as the American Nature Writing Newsletter unaffiliated. That newsletter existed before ASLE existed, and then ASLE kind of adopted that newsletter and eventually changed its name. But in those early days everything was done through the mail. I can remember our mailing parties that we used to have: licking stamps and stapling newsletters. It was such a shoestring operation at first. We basically knew everybody that we were sending the newsletter to and would write little notes — ‘Hi! How are you doing?’. That’s kind of how it started. It was so under the radar in terms of the whole profession. Nobody even knew about it except for the people who were in it. It was a lot of fun and a lot of work. Then it got bigger and eventually we had our first conference. That was in Fort Collins, Colorado . That was really fun because before we had been saying ASLE is going to have a meeting at the Western Literature Association Conference. More and more ecocritics were coming to this funny little regional conference called the Western Literature Association Conference even if their work was on Ralph Waldo Emerson, so eventually we thought we should really have our own conference. It was just really fun and inspiring. More and more people started coming, and more people returned. It really started growing, and then the internet became more of a thing. One of our members Dan Phillipon said ‘we really ought to have a website’. We said ‘great, you are the webmaster’. That’s how easy everything was. He did a fabulous job of getting that started. Over the years, I’ve really seen the organization get, by necessity, more institutionalized and formalized, and it has to because it is big. I also think it has become more stable. There were years there where if let’s just say the president of ASLE got in a car crash and died the who organization could have just died right there. It was a little precarious in the early years, and now I think it’s on more stable footing. At the same time ASLE starts to resemble other large organizations—the logo got much more professional and it’s a little less of that handcrafted feel that it used to be and a little more of a corporate feel in terms of quality and systems and stuff like that. Of course, it has gotten much more international. Many, many affiliate chapters, and that’s really wonderful. What are your hopes for ASLE in the future? I’d love to see ASLE continue to be a place where people can meet and make friends. I just think that’s so important. I believe our biggest impact is through our teaching, so I would hope it would still be a place where people could get great ideas for books they want to teach, and assignments they want to give, and things like that, so that it stays personal and friendly and doesn’t get too corporate…when you go to a conference it doesn’t feel corporate. Obviously, I’d love for ASLE to solve the environmental crisis (laughs) that was the inspiration that was the hope. I continue to believe that the humanities have a really important role to play in environmental concerns and issues. It would be ideal if the organization needed to dissolve because all the problems were solved, but that’s not going to happen—so, we’ll just keep fighting the good fight together and having fun. You write that in recent years you have dedicated yourself to “digging in” and “giving back” to the Great Basin region. What has the region meant to you, and what do you want to contribute back to it? Reno is in the Great Basin. It is kind of what you would call a non-charismatic desert. Its not like the beautiful red rock canyons of southern Utah for example. Its kind of a drab, gray, sagebrush, flat…I’m talking about northern Nevada not southern Nevada, southern Nevada is Mojave. Even though I’m an ecocritic and I should identify with the Great Basin, I actually identify with State of Nevada. It is just a really weird and interesting place with some curious state laws that make it sort of distinctive from other places. I just instantly loved it here. I felt super lucky to have a job here. In fact, I love it so much I thought, if I don’t get tenure I’ll just do something else because this is where I want to live, so that was just a stroke of luck and just the greatest feeling. Then I thought, well, now that I’m here I’d like to make a difference here. Again, I guess I have an anthologizing tendency. That was my first tendency with ecocriticism. 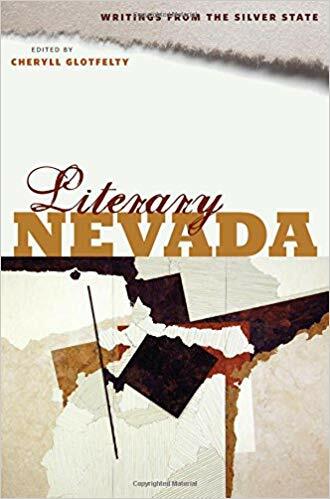 The State of Montana had its own literary anthology called The Last Best Place, Idaho had one, California had several, Utah had one, and poor Nevada was basically unrepresented on this shelf of state literary anthologies. It wasn’t for lack of good writing although that would be the assumption. It was just that nobody had done it. So I did that. That turned out to be a really long term enormous project. That anthology is over 800 pages with over 200 discrete pieces of literature. For each one of those, I had to track down the copyright holder, get copyright, raise the money for reprint permission. It was just a huge job, and it took me a long time. But I regard that as a very big and heavy contribution to the Great Basin and the state of Nevada. I really do. There is a book project that I committed to doing that I was unable to finish before retirement, so I’m going to have to turn to that this fall. That’s a collaboration with a documentary landscape photographer named Peter Goin, and we’re collaborating on a retrospective of his work. He’s chosen about 200 images from a more than 30-year career. For six or seven years now, I sat down and taped interviews with him about each image. I really learned a lot about photography and how to read a photograph. I’ll write short essays and interpretive captions for that book. That’s going to take a year or so. And I think that’s probably the last book that is in me, because right now surprisingly, and unexpectedly, I’ve become very passionate about a sport. 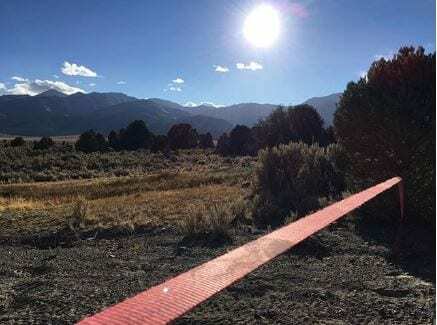 The sport of slacklining. 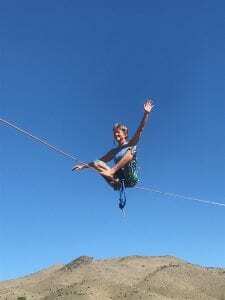 I’ve been slacklining for about three years, and I’m really really in love with it. I want to become a highliner, so I just need to keep on nudging ahead making progress. That’s really the number one thing I want to do. You know, some people want to golf when they retire. I want to slack line. I want to see how good I can get. It’s great. It is so refreshing because I’ve basically been an intellectual for 30 years now, and now I’m kind of paying more attention to my body. And it is really really fun, and I’m reading a bunch of books that pertain to it…athletic performance, training, meditation, overcoming fear, and these books are just so much fun to read. I’m just gobbling them up, and it just feels like this exciting new chapter. Thank you, Cheryll, for all that you have done for the study of literature and environment, for ASLE, and for all the people you inspire.